We got hot sauce in our bags (swag). 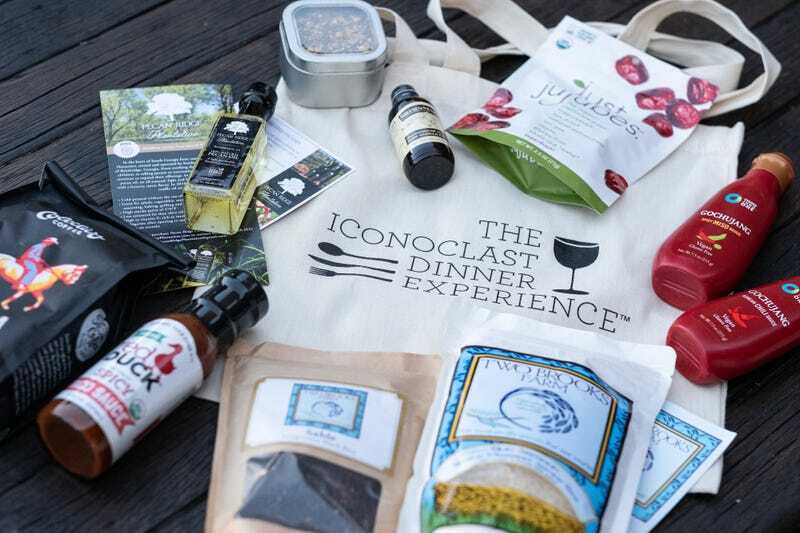 No, seriously: There was actual hot sauce in the swag bags handed out to VIPs at last Saturday’s kickoff event for the Iconoclast Dinner Experience in Chicago, the IDE All-Star Bash. Hosted by chef Edouardo Jordan, twice nominated for this year’s James Beard Awards, the four-course event was a celebration of food, culture and color, curated by the founder and curator, Lezli Levene Harvell. The Root was there on Saturday night as the Iconoclast Dinner Experience’s media sponsor and eager taste testers for featured chefs Jordan, Asha Gomez, Kwame Onwuachi and pastry chef Aya Fukai. Two days later, we’re still recovering from the menu’s deliciousness, which featured lobster rolls, mojo-braised quail wings, Ethiopian-spiced lamb meatballs and an absolutely sublime cream puff for the big finish, plus drinks from mixologist Lynn House and bubbles from fellow sponsor Veuve Clicquot. Hosted atop Soho House Chicago with an incredible view and incredible weather to match, the IDE All-Star Bash was truly iconic, featuring some of the best chefs of color in one of the world’s best “foodie” cities—and it was a smashing success! Chef Aya Fukai personally prepares our final course. Chef Aya Fukai preps the dessert course. Next up: The Taste of the Iconoclast Dinner and then the Iconoclast Dinner in New York City, featuring a whole new cadre of chefs of color and more “for us, by us” food experiences. Stay tuned!